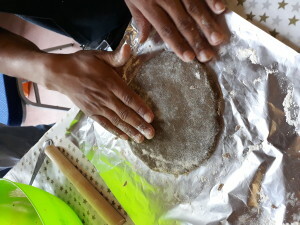 Guest Post by Leïla Seguin from British Red Cross Young Refugee Service. Leïla also works on Refugee Week at Counterpoints Arts. In May 2018 I had the pleasure to welcome Orly Orbach to our Refugees and Befriending (RnB) projects In Croydon and Hammersmith. What is RnB Project ? 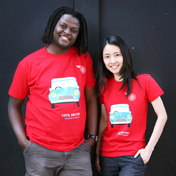 At the RnB project , we support any young refugees and asylum seekers age 15 to 21. We run weekly peer-led befriending and activity sessions and bi-annual trips to build life skills, aid personal and social development and enable young refugees to meet other young people and improve their English. We do different activities every week (drama, sports, life skills, art, music…). Those who would benefit from gaining more confidence, improving English skills or who are at risk of social isolation are particularly welcome. 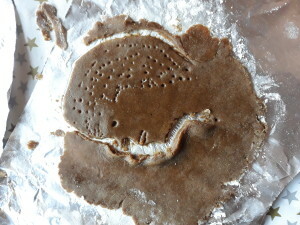 What is is Orly’s Edible Histories Project? 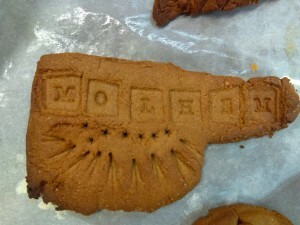 Orly’s Edible Histories project uses biscuits as a form of narration. 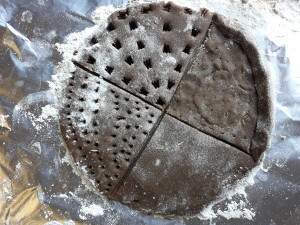 Initially the work was based on the document ‘The Heritage and Contributions of Refugees to the UK – a Credit to the Nation’, that describes the history of and changing attitude towards refugee communities in the UK and the cultural, social and economic contribution they made to life in the UK. 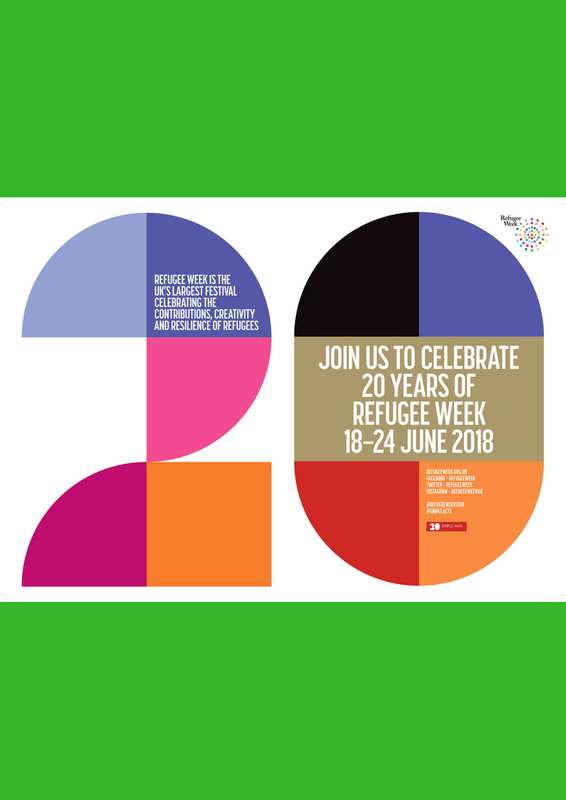 The project was developed through Counterpoints Arts for Refugee Week UK, and launched at the South Bank Centre. This project has since mutated and adapted to different settings, including schools, museums and community centres. We came up with different themes to open conversations: ‘write a postcard from your future self’…’let’s make a newspaper about London stories’…’decorate your biscuit with song lyrics’. 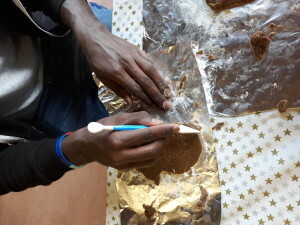 Although this was not a theme suggested, in the first workshop many of the young people in the Red Cross project begun embossing biscuits with names, not just their own, but other people’s in the room. This was related to the name games they played earlier, and the social space they are in the process of constructing. They turned the biscuit making activity into something social, positive, a gift to make for one another. 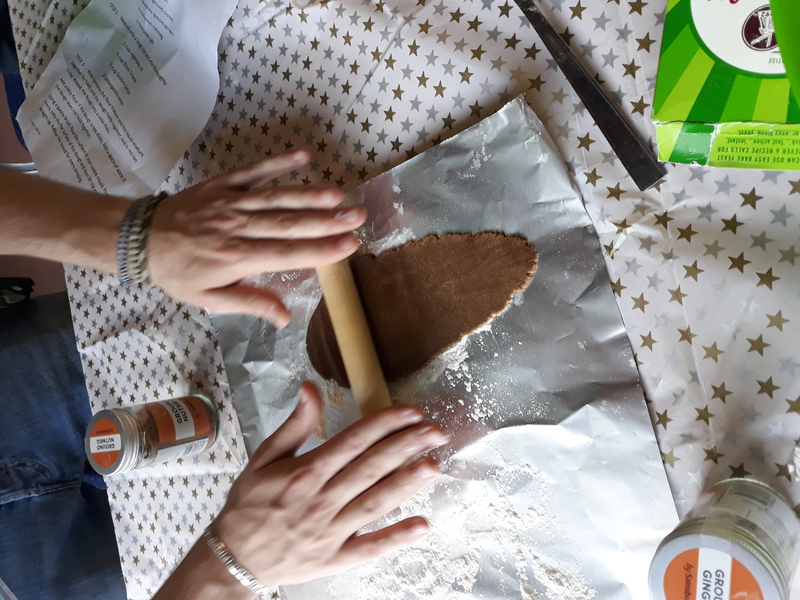 The second workshop that took place during Ramadan became even more interesting, as people were abstaining from eating the biscuits they were preparing. Luckily the biscuits can be stored for long periods. Participants made the most beautiful artworks, making details and intricate works. This felt more like a sculpture class. It ended with singing by the project organisers, that created the most enchanting atmosphere. The young people are forward thinking, and busy carving out a present and future. These questions how the project could change, opening up new possibilities. 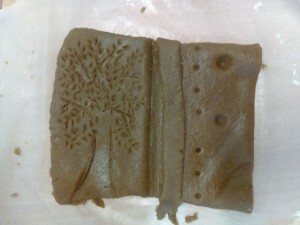 One participant used the gingerbread biscuit to create an open book. On one side is a very healthy looking tree, its branches fill the page. The other side is blank, like the future, waiting to be written.